Electric Car Chargers are becoming a common site in Birmingham as full electric and plug-in hybrid cars are growing in popularity and now come in all shapes and sizes, from two seater city cars, to 4×4 off roaders. Electric vehicle technology has developed greatly since the milk float and as performance and range increases, purchasing an electric vehicle is becoming a very real option for many people. Electric vehicles need electric car chargers and this where we can help. 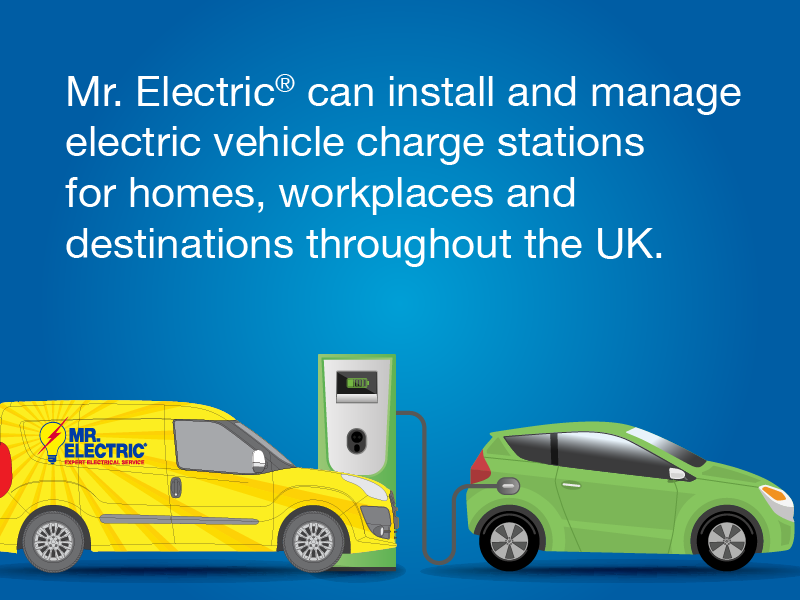 At Mr. Electric we are the experts at the installation and management of Electric Car Chargers for home, workplaces and destinations throughout the UK. The Electric Vehicle Homecharge Scheme provides up to 75% of the installation cost (up to a total of £500) for charging points at domestic properties, while the Workplace Charging Scheme offers up to £500 per socket (up to a maximum of 20 sockets) for commercial properties. Totally free chargers. Our funding partner – PlugNGo – cover the cost of the charging equipment, installation and ongoing maintenance. The land owner/company provide us with parking bays and receive a revenue share on the electricity sales.